Grabbing a bass guitar for beginners will get your low note endeavors up and running in no time. If you’re in a band, you know just how important it is to have those bass notes on point — it can make or break a song. Even if you’re a solo artist, it’s great that you’re looking to pick up a new hobby (or shall we say passion) — we’ve even heard many musicians say starting on a bass can be a gateway in to other string instruments down the road if you’re interested in becoming a multi-instrumentalist in the future (or already are!). 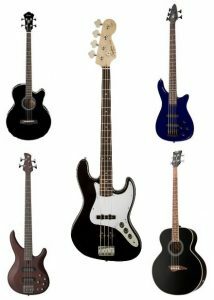 When it comes to bass guitars in general, there are quite a few different models out there we found that will be great to start strumming or plucking on. We did however find one in particular to become the victor as the ‘best’. Let’s get started.